Sweet Holiday Chex Mix is a staple recipe every Christmas season at my house! Sometimes I make it for gifts and sometimes I'll make a batch for a party, then other times I just get the craving for it so I'll whip up a batch on the weekend. It's perfectly crunchy and covered with an ooey gooey sweet coating. Just be careful because this stuff is addictive! 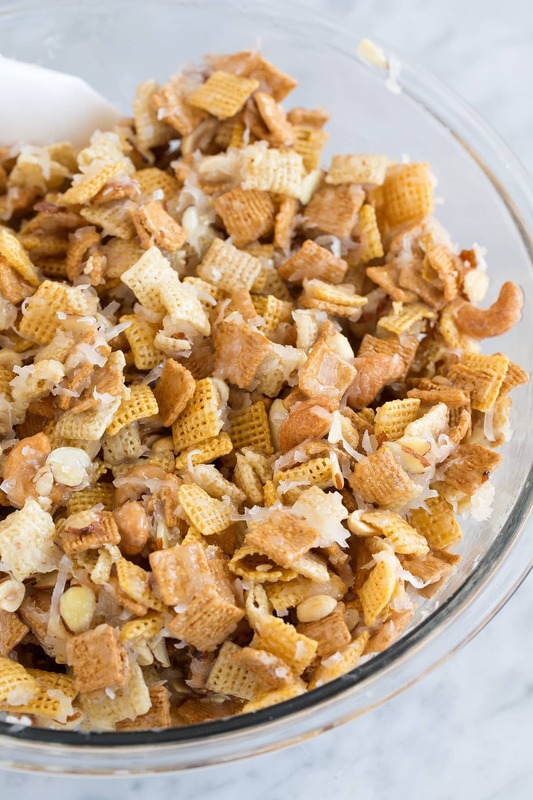 Chex Mix - the Sweet Version If there's one treat you must make this season this is it! Okay there are a lot of treats that definitely deserve to be made this holiday season but this one should be near the top of your list. It's incredibly easy and so fast (we are talking 15 minutes or less), it tastes like candy with a crunch, it's nutty, it's sticky, it's crave-ably sweet and it's the perfect gift for friends, neighbors, or coworkers. Simply said this stuff is highly addictive so share the wealth or you will want to eat it all. Beef Red Curry Recipe VERY Delicious!